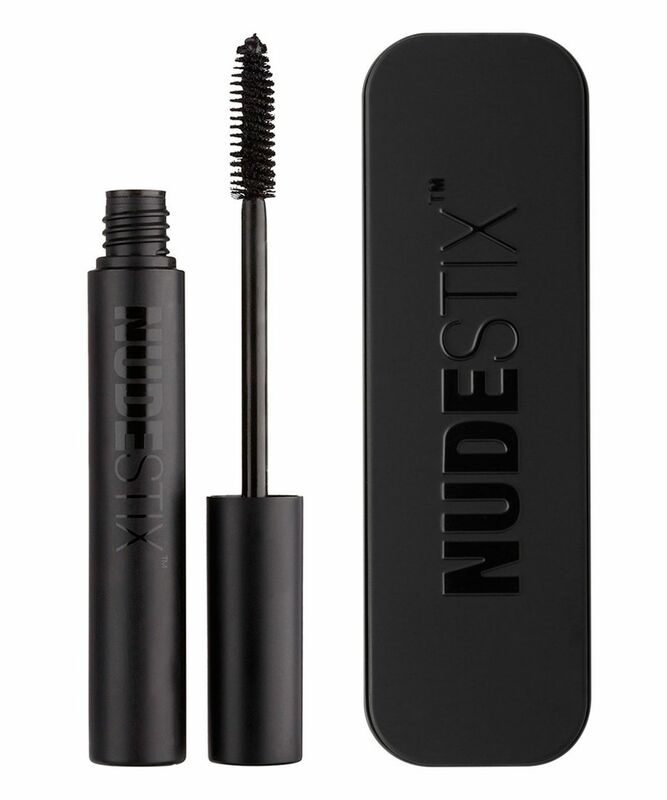 With a lash strengthening and lengthening formula, NudeStix Lash and Grow Mascara is the ultimate, glossy black treatment cocktail, for lending polish to your favourite ‘no make up make up’ NudeStix look. Enriched with lash-conditioning ingredients, it accelerates the natural growth rate of your lashes whilst enhancing and elongating them with a smooth, clump-free, no-smudge coat of colour – that won’t flake or ‘fall out’, so you look blessed with naturally enviable fringes. Creamy and flexible, this won’t cause any tell-tale stiffness – making it the perfect finishing touch for those times when you want to look flawlessly effortless (always). It’s also buildable – so you can ramp up the drama to complement your smoky-eyed smoulder come evening. Ever wondered what happens when a chemical engineer and mother of two teenage girls, decides to make their (and her) make up dreams a reality? The answer is NudeStix – a capsule collection of multi-purpose crayons (and mascara) to enhance, not detract from your natural beauty. Quick and convenient, the creamy formulas apply effortlessly – while the neutral colour palette provides universally flattering options, to emphasise your favourite features (and disguise the occasional imperfection), without compromising your natural glow. With a blend of root stimulating ingredients, Mascara not only creates the illusion of Bambi-worthy eyelashes… but helps you gradually grow your own set of full-on, fluttering fringes (no falsies required). Eco-packaged in a collectible tin with a large mirror housed in the lid (each tin fits 3 – 4 NudeStix), these are a godsend for low maintenance ladies who like to look polished, as well as for busy, working mums who want quick, fuss-free make up to make them look gorgeous in minutes. 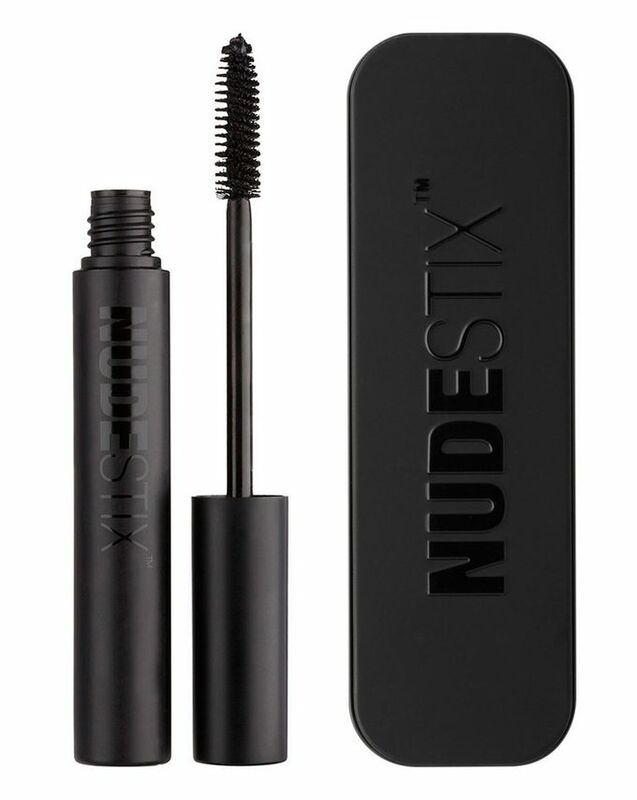 Brush the mascara on top and bottom lashes starting at root line to get maximum lash lengthening effects. Water, Candelilla Care/Euphorbia Cerifera (Canelilla) Wax, Acacia Decurrens/Jojoba/Sunflower Seed Cera/Polyglyceryl-3 Esters/Acacia Decurrens/Jojoba/Sunflower Seed Wax/Polyglyceryl-3 Esters, Stearic Acid, Palmitic Acid, Copernicia Cerifera Cera/Copernicia Cerifera (Carnauba) Wax, PPG-25-Laureth-25, Styrene/Acrylates/Ammonium Methacrylate Copolymer, Steareth-21, Alcohol Denatured Butylene Glycol, Pentylene Glycol, Potassium Cetyl Phosphate, Acacia Senegal Gum, Polysorbate 20, Glycerin, Cetyl Alcohol, Steareth-2, Hydroxyethylcellulose, Silica, PPG-26-Buteth-26, Cellulose, PEG-40 Hydrogenated Castor Oil, Xathan Gum, Biotinoyl Tripeptide-1, Malus Domestica Fruit Cell Culture Extract, Ethylhexyl Glycerin, Apigenin, Oleanolic Acid, Lecithin [+/- Iron Oxides (CI 77499)].